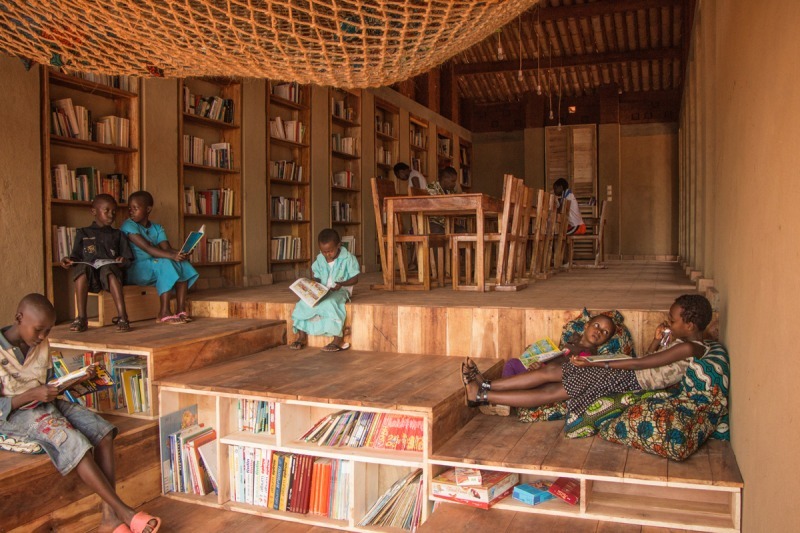 The library of Muyinga is an inclusive school for deaf children in northeast Burundi, built by locally sourced materials and techniques, with a participatory approach. 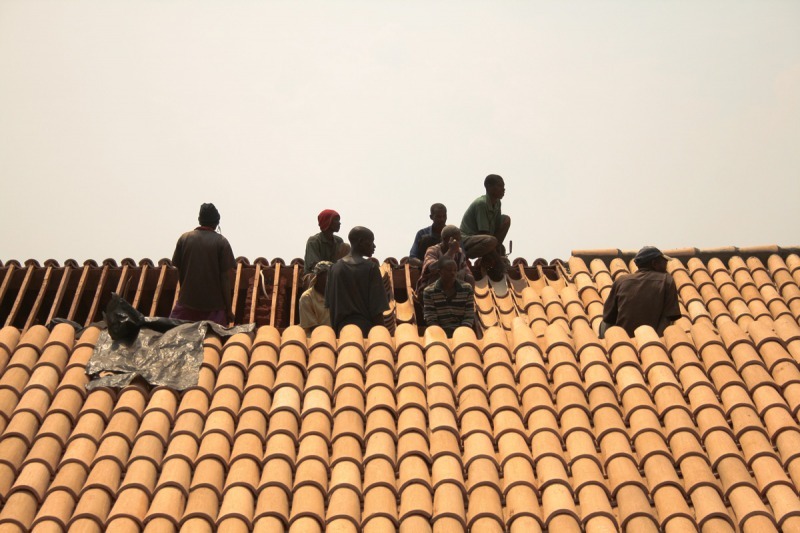 The project is a collaboration between BC Architecture & Studies and the NGO of the diocese of Muyinga Odedim (Organisation Diocésaine pour l’Entraide et le Développement Intégral de Muyinga). 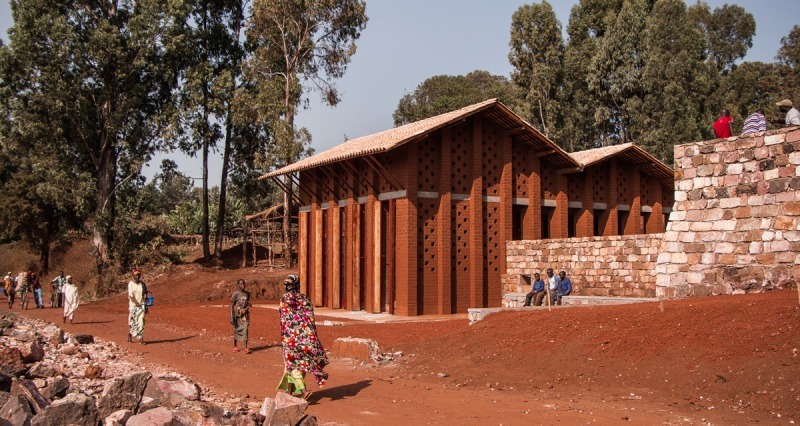 Both parts promoted a holistic building process in Burundi, focusing on the development of educational structures. 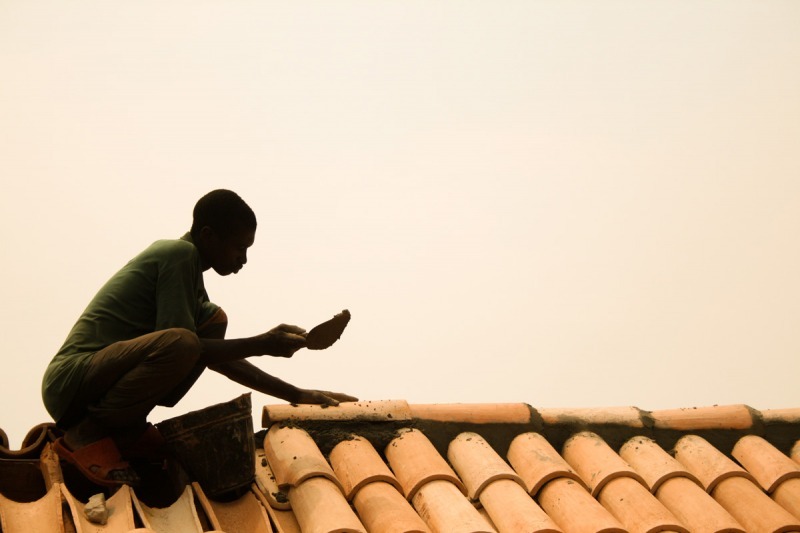 The Burundian culture is strongly marked by its oral and informal nature; therefore, deaf children suffer exclusion that affects their social interactions and education. There are only two schools for deaf pupils in all Burundi. 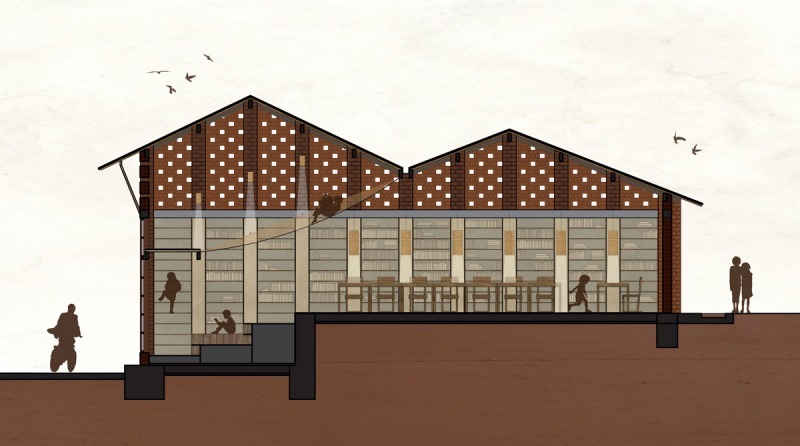 The library of Muyinga is part of a larger campus project, an inclusive boarding school dedicated for deaf children. 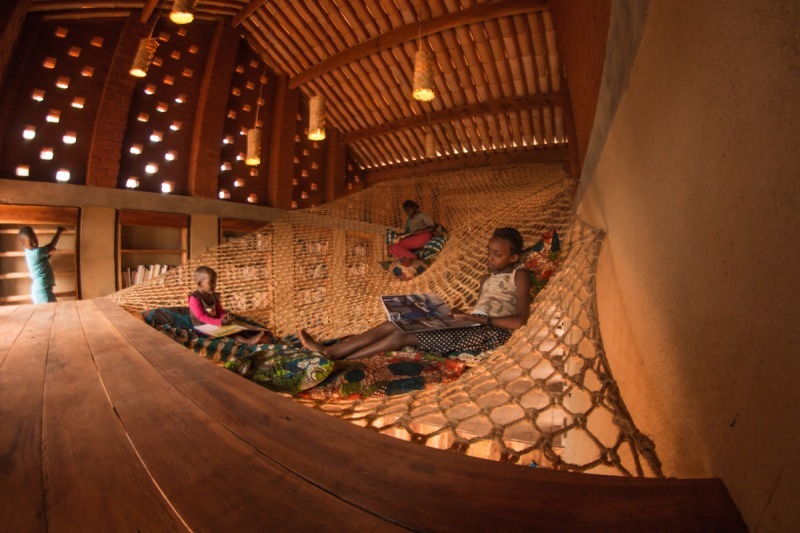 Within this frame, the library is meant as a link between those children and the wider community of Muyinga. Today children from nearby schools are coming to study, as most of them do not have appropriate spaces to do so in their own school or at home. Teachers from other schools are also coming to see how this campus functions. The library thus re-connect and include deaf children to become members of the community. 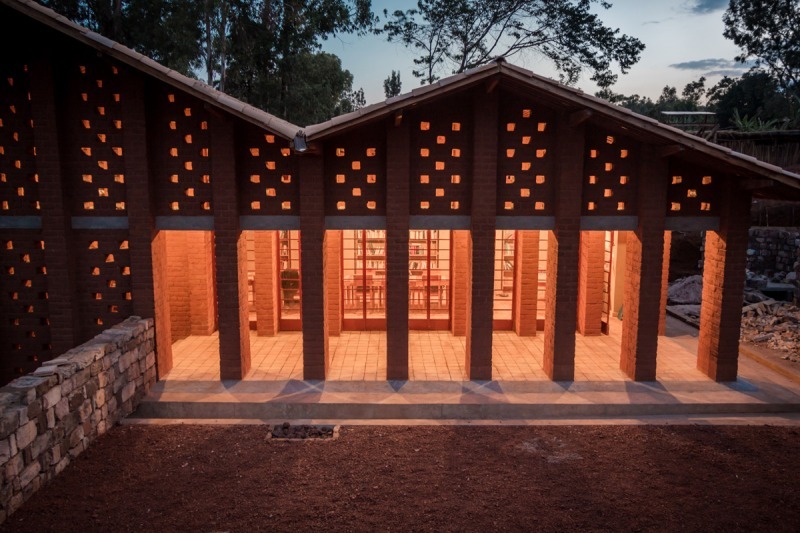 Following the library two classrooms and dry toilets were built and are now fully functional. In later stages the campus will push further the integration of deaf children into broader society with a school-based wood workshop, and to build a polyvalent hall - both are intended to serve the whole Muyinga community. Climate also influenced the building’s design, mainly in terms of volume and façade. The double height space enables continuous cross-ventilation guiding the humid and hot air away. 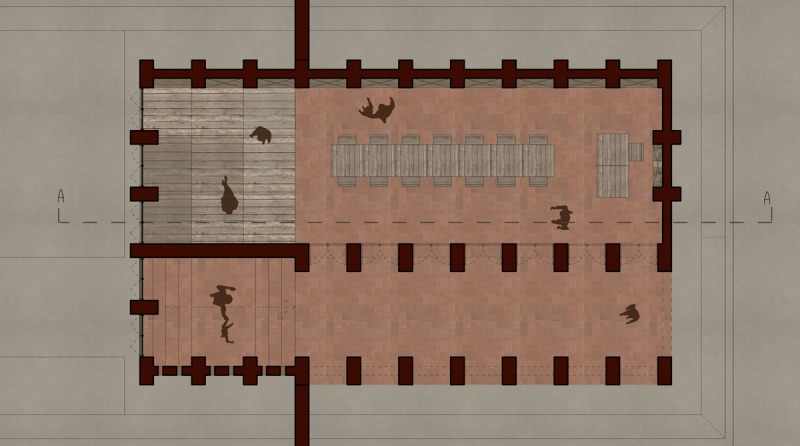 The roof has a slope of 35% and a overhang in order to protect the unbaked CEBs and ads strong aesthetic feature to the library. 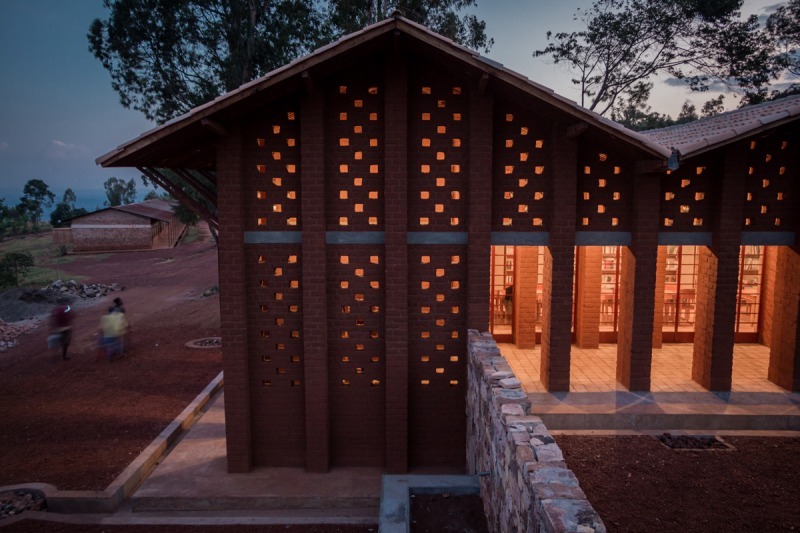 The walls have perforation, following the rhythm of the CEBs masonry, from which light rays giving the building its particular presence in the evening. The CEBs columns have inner concrete structured linked to the foundations, as the projects is located in a relatively seismic area. Material choices based on collaborative process and context-based research are shaping the whole building, the inside spaces as well. To adapt needs of readers of all age, a workshop resulted in creating wooden furniture and sitting corner. 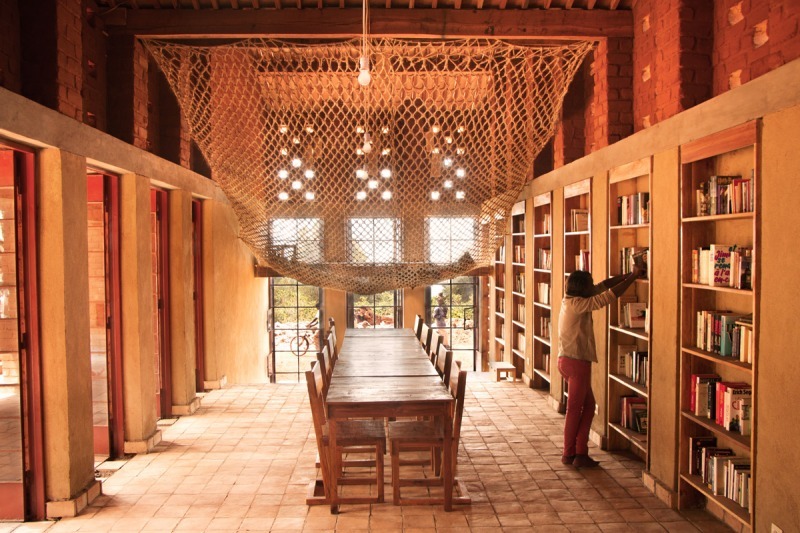 Then, having discovered sisal braided rope in a nearby market, the architects worked with artisans to push the technique further and managed to design a giant hammock and fixed it in the double height space as a cozy mezzanine. The walls of the building also accommodate grade change between the educational structure and the street. Built in dry-stone technique, they are lower on the squares and playground area of the school side and higher on the street side. This ensures neat limitation from the street and safety within the campus with uncompromised view towards the valley. The next spaces to come will follow the same principle, taking advantage of the existing slopes and trees to articulate teaching spaces, playgrounds and courtyards, reinforcing the connection with broader community the library has already installed.